3. Cultivating a child's curiosity, and they are encouraged to dare to explore. 8. Cultivating a child's curiosity, and they are encouraged to dare to explore. Language is an important phenomenon in human life and a special feature in humans. The language is learned not inborn. With language, we can understand all objects in the environment and can communicate the contents of the mind. Activities to sharpen language begin with learning pronunciation / sound (Phonic Sound), then words, phrases and sentences. The easiest way is to introduce children to various objects around and various daily expressions. Besides that it can be by reading books, poetry, and telling each other and singing. Another ability to be achieved from this area is that children have the ability to write and read. Activities in the practical life area are interesting activities for children because they involve all skills in all sensitive periods of children. Activities in this area will build children's skills in all areas and daily activities. 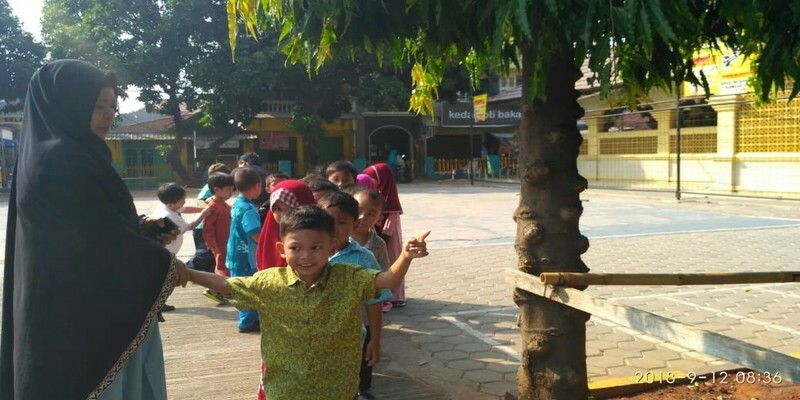 Usually the difficulty of children carrying out developmental tasks in other areas can be traced back from their completeness beyond this practical life area. � Because this area is full of psychomotor activities, the child will always be excited thus sharpening motoric and spatial intelligence. � Explore the senses. In doing this activity involves eyes, sounds, smells, even touches language. � Providing practical life activities will foster children's initiative to be involved in daily activities. � alone, arrange their own clothes, wash their own cooking utensils. � Having social sensitivity: Understanding the feelings and burdens of others so that they grow empathy. 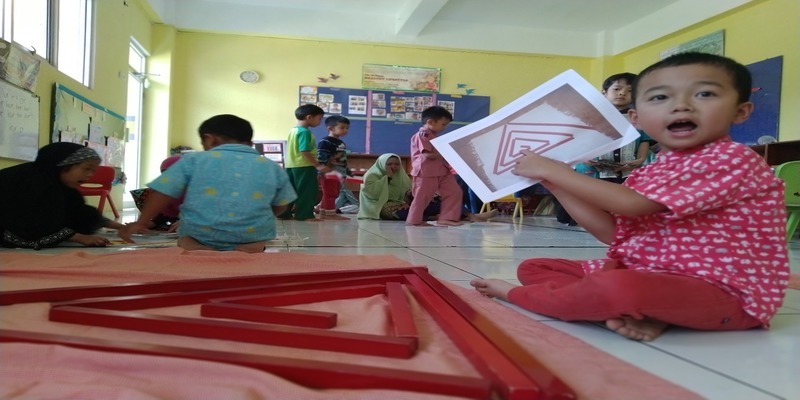 The activities given to sharpen this area began with simple activities even for toddlers using the play method. But in essence the basic thing that must be mastered before carrying out a complicated activity is to complete the child's ability to control gross and fine motor skills, strengthen muscles and coordinate movements and eyes and hands Moral and religious education I enter in this area. So besides giving an example regarding the norms of everyday manners, we invite children to worship, practice prayer in every activity, explain the creators of nature and living things, etc. 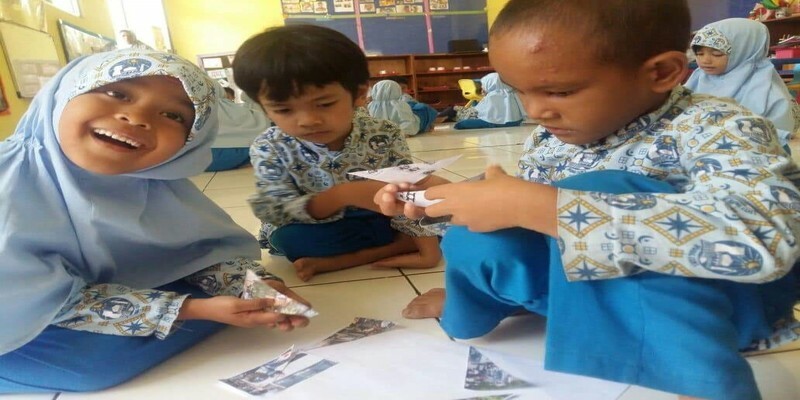 Teaching mathematical concepts at the beginning is through activities that sharpen the senses to understand the concepts of size, pattern and sequence. 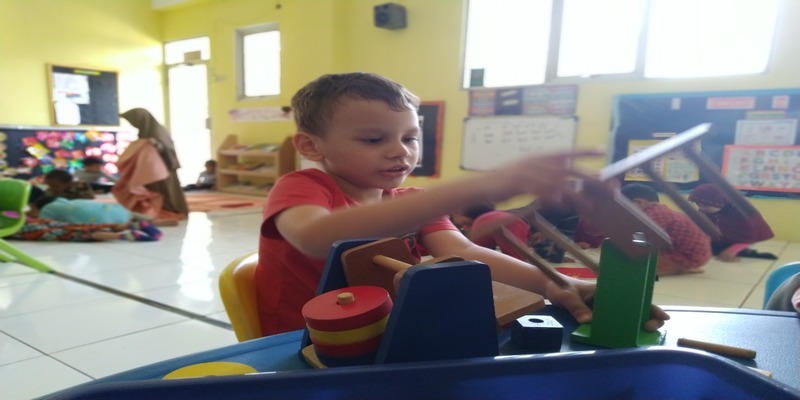 � According to Dr. Montessori since the ability to observe at the beginning of age, individuals must be given stimulation that will sharpen their senses and understand the various impressions of various stimuli. � Sensory ability helps children to understand the details of objects or phenomena through patterned activities. With good sensory abilities children are able to distinguish qualities such as differences in color, shape, smell, texture, weight, and size. With this ability the child is able to determine, classify, and connect new information into the information he already knows. 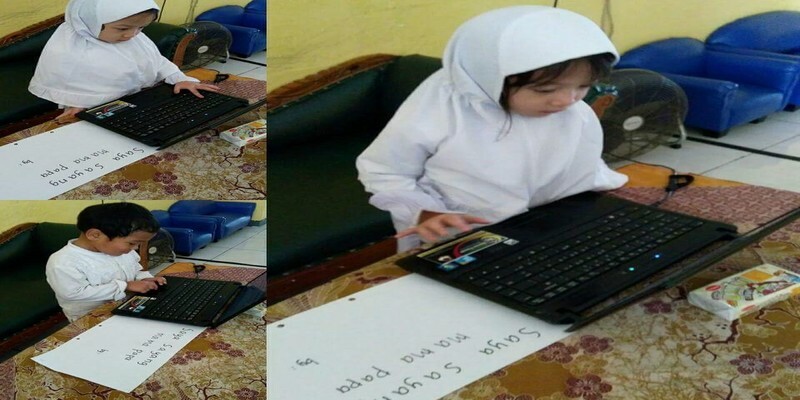 The tools needed in this area all aim to improve muscle development which is the foundation of writing skills, determine the right size, and enrich abstract concepts in the field of mathematics. In the cultural area besides introducing various world cultures, it also introduces local wisdom and family culture.